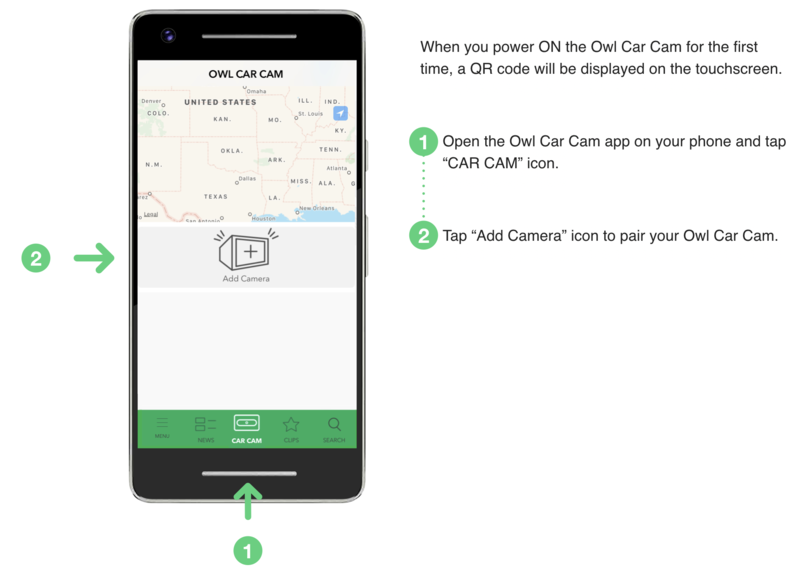 Next, scan the QR code displayed on the Owl Car Cam with your phone. 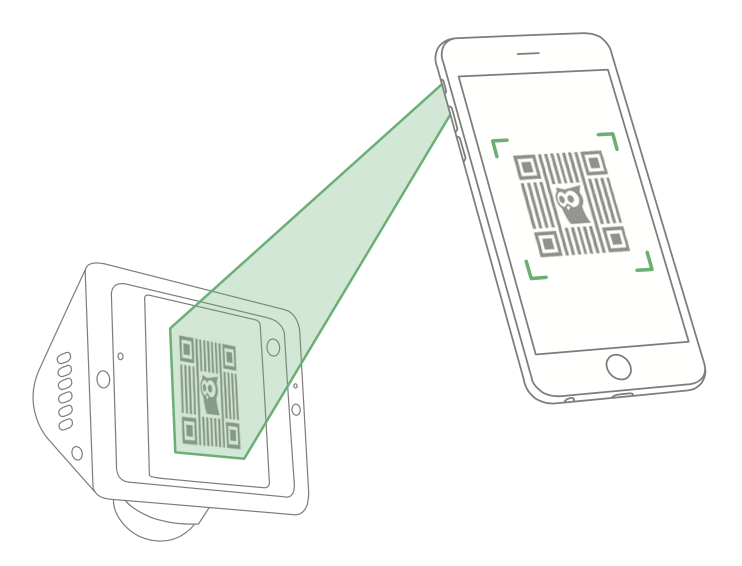 If you want to unpair a camera, tap "MENU" on the Owl Car Cam app. 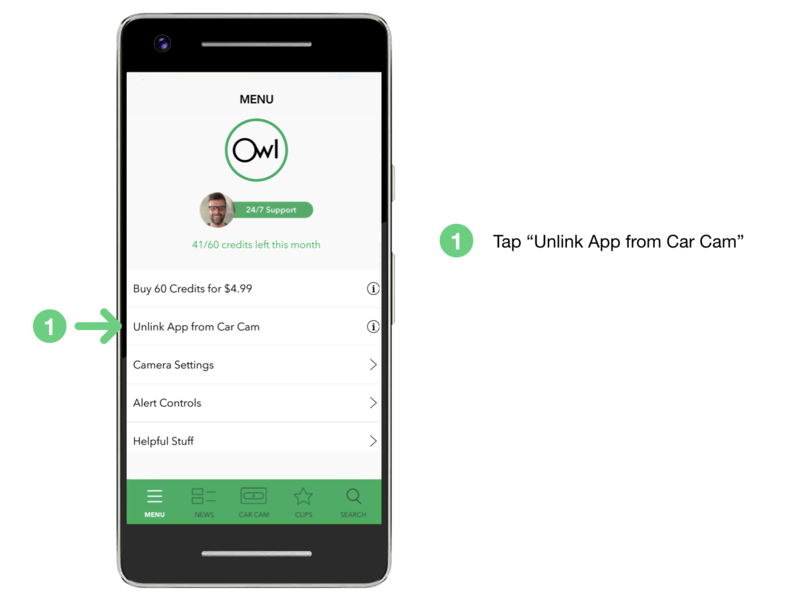 Unlinking will delete all the video footage stored on the Owl Car Cam and a new QR code will be displayed on your Owl Car Cam.